We currently run Holiday Camps at University College School Junior Branch. Our multi-activity day camps are for children aged 5–12. Our daily activities include: Football, Basketball, Hockey, Tennis, Dodgeball, Capture the Flag, Cricket, T-Shirt and Bag Design, Necklace and Bracelet Making, Graffiti Art, Table - Tennis, Yoga and many more. Active Day Camps also offer Active After School Clubs. 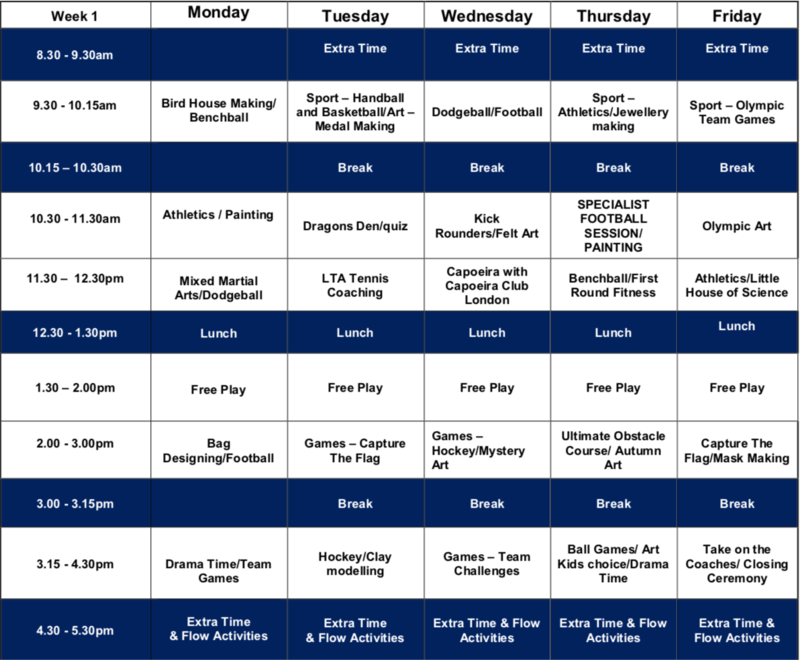 We are able to offer a range of different sport, art and fitness related clubs for your school! Please email us with your contact details and a member of our team will respond within 24h to your enquiry.